What is the Abhaile Scheme? Managing director of Providence Finance Services Ltd trading as The Money Doctor. Since the financial crash of 2008, the landscape of home ownership in Ireland has irreparably transformed. As of 2016, 59% of mortgage holders in arrears were also in negative equity; in fact, 43% of all mortgages were in negative equity. While recent rising house prices have pulled many out of that zone, 13,000 are still locked into mortgages that have been in arrears for over five years – and 30,000 + for two years or more. As negative equity and an inability to meet mortgage payments became a more everyday hardship for many, the need for support services became all the more apparent, and the Abhaile Scheme was created in 2016 by the Insolvency Service of Ireland which in itself was set up by the Personal Insolvency Act 2012. Abhaile - for those not fluent in the Irish language, means "home" - exists to help people in serious mortgage arrears who are unable to settle their debts or those who are facing legal action or home repossession. The goal of the scheme is simple: to keep people in their own homes. It is 100% funded by the state: eligible applicants are provided with vouchers entitling them to free, expert legal and financial advice, which can be accessed through MABS, the Money Advice and Budgeting Service. Don’t worry if you’re not sure which applies to you: each person who avails of the scheme is assigned an advisor to refer them to the right expert for their case and to help them to communicate with their lender to work towards a solution. This is vital: while the desire can, understandably, be to hide away from the reality of being unable to meet your mortgage repayments, burying your head in the sand is the worst thing you can do. 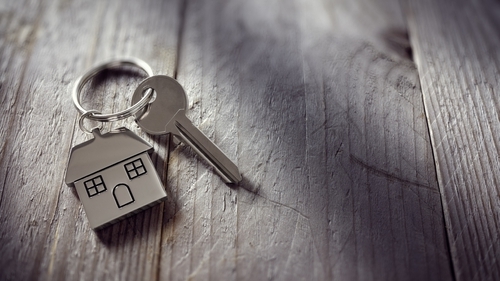 This framework has become compulsory under the Central Bank’s Code of Conduct on Mortgage Arrears (CCMA), with a view to helping the borrower as much as possible. However, a huge number of cases are outside the MARP guidelines. Can I avail of it? Be reasonably accommodated: that is, that your accommodation is suited to the needs of you and your dependents and is not disproportionately expensive. Remember, the scheme exists to help keep people in their homes, so if your arrears are on an investment or buy-to-let property, you will not qualify (although those in arrears on their home while also owning a buy-to-let property may be eligible). You can find your local MABS office on www.MABS.ie/contact-MABS; contact the MABS helpline from Monday-Friday, 9am-8pm, on 0761 07 2000; or arrange a callback by emailing helpline@mabs.ie. Alternately, you could also go directly to a Personal Insolvency Practitioner – yours truly is one of 100+ PIPs around Ireland. Access the full list from the Insolvency Service of Ireland or click on this link. For more information click on John Lowe's profile above or on his website.